So, you’ve heard that personal learning networks (PLN) are a good thing. All good questions. If you are just getting started then you have identified some common questions and seem ready to begin. Let’s start with one little social networking site. Twitter. Twitter is an amazing tool. Used properly you have and endless stream of fantastic, free professional development and opportunities for networking streamed to you. I have learned, shared and made connections to other educators. This is what PLN are all about. The scary thing is that it NEVER STOPS COMING! Neither does my own demise but I don’t keep this happy little fact at the front of my thoughts. Having it there, however, I can turn on the faucet to check in when I feel the need. People who you follow are likely to follow you. I went nuts one day and spent some time doing this. I added likely 200 people to my “follow” list and about 80 returned the favor, doubling my followers. I then tweeted a blog post, a YouTube link promoting my ICT Integration site, and the link to the site and had my best “hits” day for some time as a result of my new audience. Know all this stuff already? GO HERE for a free eBook: Deepen Your Digital Footprint; A Beginner to Intermediate Guide to Increasing Online Traffic & Presence. Hey, check out my twitter feed RIGHT HERE ON THIS VERY PAGE. And follow me. I want to learn from you. This entry was posted in Collaboration, Digital Learning, Literacy, New Media, Producing, Publishing, Sharing and tagged personal learning network, PLN, tweet, Twitter. Bookmark the permalink. I was so skeptical about Twitter, but I have gotten so much from it. I have gone to conferences and found myself with loads of people I know in a virtual context. I have been able to ask for help and be given help in return. So Kyoto is no distance to… let’s keep learning together. I would like that. My earliest blog posts used to refer to “stupid Twitter” but, having started to feel I was getting it, I knocked off this post in the hopes it might encourage someone else out there just getting started. 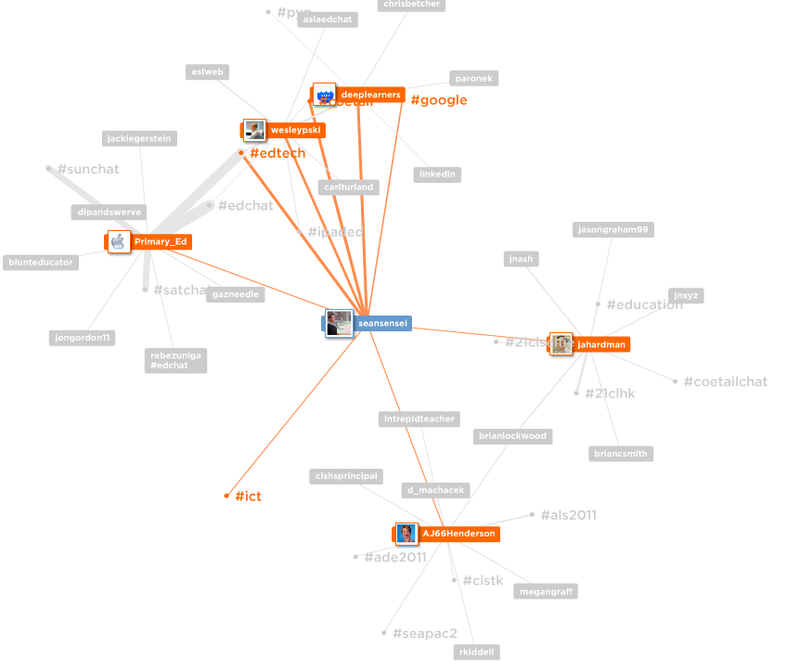 Wow…the Tweetmap. I have to learn this concept more. Great article. Thanks Sean. Fantastic!!! The Walden DBA program is an exiting journey!! Pingback: Detail the steps you will take to establish your role in your new learning community. This page seems to have been taken down?